play YouTube/Google video on HTC Touch Pro/HD/Diamond/Cruise. Touch Diamond (P3700), produced by HTC, may be the most beautiful smartphone running Windows Mobile 6 platform, because of its attractive and fantastic design. HTC Touch and other phones running Windows Mobile, like HTC S1, O2 Atom, Samsung i900, support various video formats such as 3GP, MPEG-4, WMV. HTC Phone supports very limited videos formats say 3GP, MP4, WMV files. As I tested, MP4 file would be the best video formats for HTC compared to 3GP, WMV with better video quality. 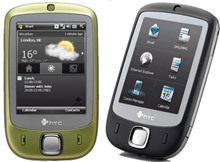 HTC Touch HD plays 480 x 800 pixels, h.264, 24fps, 1.2 mbps files smoothly. With Any Video Converter, it’s easy to convert any video files to 3GP, MP4, WMV format to be played on HTC Touch. Please follow below steps to get playable videos for your phone. How to convert videos to WMV, 3GP, MP4 format for HTC Touch? Step 2: Choose output profile "HTC Touch Movie (*.wmv)" in the profile drop-down list and set frame size option to 320 x 240 pixels. You need to manually input frame size value according to your HTC Touch's screen resolution. The default settings is good enough. For better enjoying videos on HTC Touch, you can customize video and audio options, such as Video Codec, Video Bitrate, Audio Codec, Audio Bitrate, Audio Channel, Disable Audio, etc. Tip: Since HTC Touch also supports WMV, AVI, 3GP video formats, you can choose Mobile Phone 3GP Movie (*.3gp) or Customize MP4 Movie (*.mp4)" as output profile in Any Video Converter. Step 3: Click Convert button to start. Once the conversion is finished, you can click "Output Folder" button to get the output WMV files. Then connect your HTC Touch with computer, import output videos into it, and have fun! Specializing in AVI conversion, Any Video Converter can convert AVI to HTC Touch supported video formats, such as WMV, 3GP or MP4, like a piece of cake! You can preview the movie before converting, extract audio from video and convert video to all popular audio, clip any movie segment, snapshot the images in preview, customize the output effect, automatically shut down the computer after converting finished, convert files in batches, etc. Any Video Converter is well designed for Matroska video - MKV video conversion. 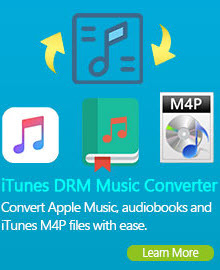 It can convert MKV to AVI, MKV to MP4, MKV to XviD, WMV, X264/MPEG-4 formats, along with extracting audio from MKV to MP3, WAV, WMA, AAC or M4A music file. With high speed and wonderful output quality, the MKV video converter enables you to convert MKV to video and audio formats playable on HTC Touch, HTC Touch HD, Touch Pro2, Diamond, T-mobile G1, Touch 3G, Magic, Dream, Hero, Droid Eris etc. for enjoying MKV movies on the go. 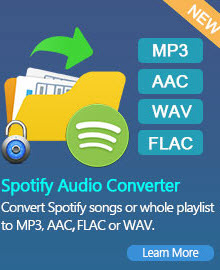 In addition, this MKV to HTC video converter offers you many other choices including: convert mkv to avi, convert mkv to mp4, convert mkv to wmv, convert mkv to 3gp, convert mkv to 3g2, convert mkv to swf, convert mkv to flv, convert mkv to ipad, convert mkv to mpg, convert mkv to ipod, convert mkv to iphone, convert mkv to psp, convert mkv to apple tv, convert mkv to zune and convert mkv to blackberry. Any Video Converter, the most powerful HTC touch converter, is an excellent tool for users who would like to convert MPEG video files to HTC phones compatible media format (WMV, MP4, MP3). It is an all-in-one MPEG to HTC touch converter, HTC touch video converter and HTC touch music converter. Besides HTC Touch, Any Video Converter also supports converting videos for other HTC mobile phones including HTC Touch Diamond (2), Magic, Cruise, HTC touch HD, 3G, HTC touch Pro2/Pro, HTC dream, HTC touch Dual, T-mobile G1, Viva, P2370, HTC Touch GSM, P3600i, P3400, P3350, P3300, P3000, D600, D818C, D810, M700, P800W, 818Pro, TyTN II, HTC shift, HTC advantage, P4350, U1000, C800, 838Pro, HTC Snap, S740, S730, S720, S710, C730, C500, C720W, 595, S301, S300 and more other models. Any Video Converter is an easy-to-use HTC video converter to convert OGM files. With it, you can convert OGM to WMV, OGM to 3PG, OGM to MPEG4, OGM to MKV, OGM to FLV, OGM to 3G2, XviD, MPG, etc format files. The powerful features and unbeatable price make the OGM to HTC Video Converter an affordable and powerful video conversion solution on personal computer. The OGM file type is primarily associated with 'Ogg Vorbis'. OGM is another extension for the OGG container adopted by Windows users to distinguish music (OGG) and video (OGM). Although not an official extension it is used by DivX and Xvid encoders that put video into the Ogg container. How to view YouTube video on HTC Touch phones? To view YouTube video on HTC Touch Pro/HD/Diamond/Cruise, download an application called HTC Streaming Media Player, which allowed users to view sites like YouTube. After you've downloaded the above file, you'll find that the file contained in this .zip file is a .cab file, extract it out of the .zip file first, and then copy the .cab file to your phone. This file is intended to work on AT&T 8525 and the AT&T Tilt, other device users should use at your own risk. Still, it's worth a shot. Now go to your windows mobile phone, open "File Explorer" in your programs folder, navigate to the folder where the .cab file is resting, click on it, the program should install, and when it's finished, it'll ask you to restart (accept any warning messages, if any). Once installed, when you go to YouTube and click on any of the video, the HTC Streaming Media Player should automatically pop open, and start buffering and playing the videos.